Robert “Bob” Hodgson, 84 of Bristol, died on Tuesday, Nov. 13, 2018 at his home. He was born July 8, 1934 in Lincoln, IL to the late Jack and Margaret (Collins) Hodgson. On August 25, 1957 he married Barbara J. Brown in Peoria, IL. Surviving are his college sweetheart and wife of 61 years, a son, Craig C. Hodgson of White Pigeon, MI; 2 granddaughters, Sarah (Adam) Markley and Abi Hodgson and 2 nieces, Margaret (Kevin) Hallock and Betsy Schneider. He was preceded in death by a son, David Robert and a sister, Jean Bittner. 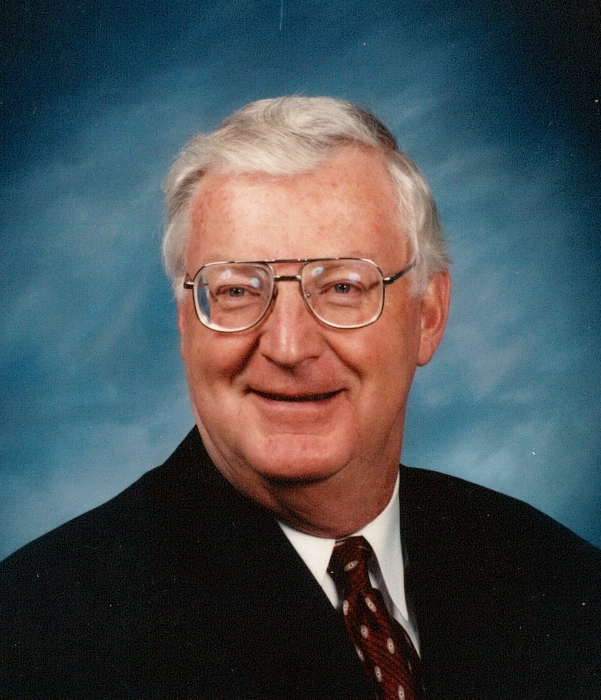 Mr. Hodgson was a 1956 Engineering graduate of Bradley University in Peoria, IL where he became a member of the Sigma Chi Fraternity and subsequently, a Life Loyal Sig. Later he joined the U.S. Naval Reserve, passed his Professional Engineering Registration and earned his MBA degree with honors from Michigan State University. Following Bradley, he joined the General Electric Company and retired from Miles (Bayer) in 1995 as the plant engineering services manager. He was a member and longtime secretary of the Miles Friday Club. Bob was a 50 year mason and a member of Kane Lodge #183, Scottish Rite Valley of South Bend and a member of the Orak Shrine in Michigan City. He belonged to the First Presbyterian Church of Elkhart where he had been an Elder, Trustee and Church Foundation Board member. He also served as a charter board member and early president of the Samaritan Center. His proudest accomplishments were when he was helping kids. This included volunteer and board member of Loveway, transporting patients to Shriner’s Hospitals, adjunct instructor at the University of Notre Dame and a mentor in Mary Beck’s second grade. As a loving husband, father, grandfather, brother, uncle and friend, Bob worshipped his family and cherished his many friends. He thoroughly enjoyed traveling worldwide with his wife and spent his spare time playing bridge and tennis as well as fishing and hunting. Visitation will be from 2-5 pm Friday, Nov.30th at Stemm-Lawson-Peterson Funeral Home, where a masonic memorial service will be held at 5 PM. Friends may also call one hour prior to the 11 am funeral at the First Presbyterian Church on Saturday, Dec. 1st with Rev. Rebecca Kuiken and Father Richard Kallenberg officiating. Cremation has taken place and final interment will be in the Memorial Garden of the church. In lieu of flowers, the family kindly requests memorials be given to the Community Foundation of Elkhart County; Loveway; Shriners Hospital for Children, or to the donor’s choice. Online condolences may be shared with www.stemmlawsonpeterson.com.